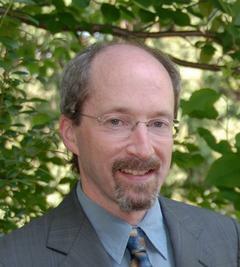 Dr. Benjamin Nathans is the Associate Professor of History at the University of Pennsylvania. He teaches and writes about Imperial Russia and the Soviet Union, modern European Jewish history and the history of human rights. His current research explores the history of dissent in the USSR from Stalin’s death to the collapse of communism. He summarizes “The Real Power of Putin” in the October 1st issue of the New York Review of Books. You can read it here. Nathans’ presentation with time for Q & A lays the historical background to help us to understand Putin’s rule of Russia today. Join Penn's Village on June 13, 2018 at 2:00 PM in the MacColl Room, 201 S. 21st Street (entrance on 21st Street). The building is handicapped accessible. Kindly let us know in advance if you need this. Please register on www.pennsvillage.org, by emailing info@pennsvillage.org or by calling 215-925-7333. There is no charge for Penn’s Village members and volunteers. We would appreciate a $5 donation from other guests. Other guests are welcome to attend three programs before joining and/or volunteering.